Its fire season here in California! (Actually, a recent New York Times article quotes the deputy chief of CalFire as saying that it is always fire season in California.) 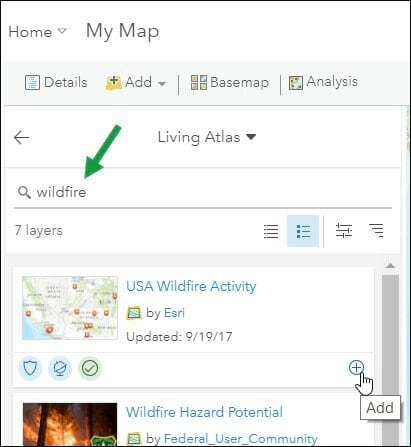 Whether you live in The Golden State or not, there are a variety of resources available in the Living Atlas to map, analyze, and understand wildfires and fire risk in the U.S. and across the world. 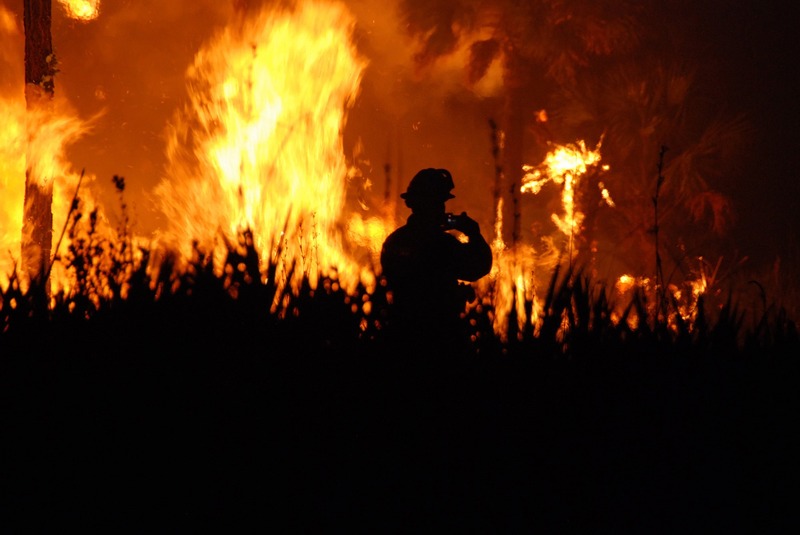 Many Earth-observing satellites contain sensors capable of detecting the infrared energy released by fires. 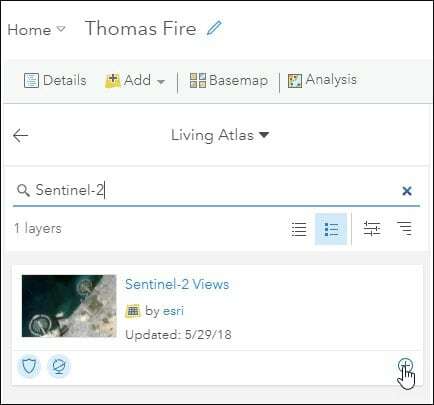 Not only can the hotspots be located, but areas of burned land can also be identified based both on their thermal characteristics and visible appearance. 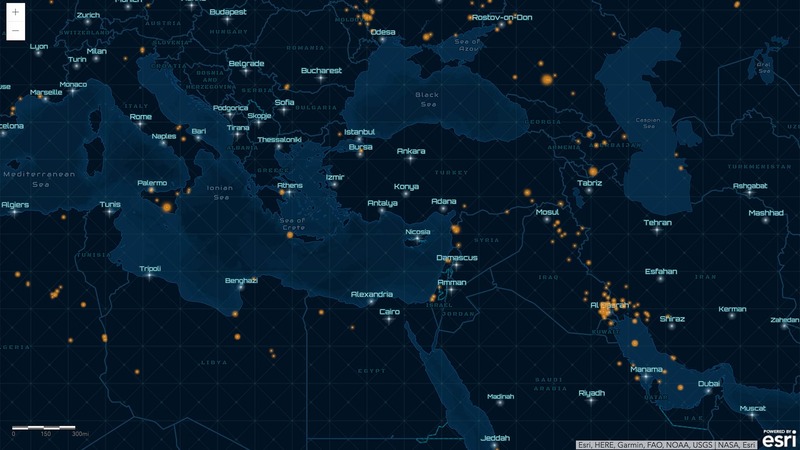 Along with intelligence on the ground, these data are used to plot the location and spread of fires around the world. 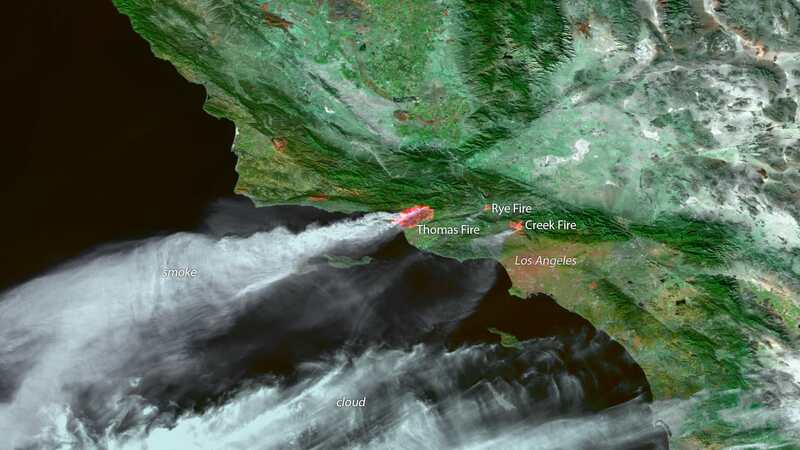 Satellite image of the Southern California fires from 2017. 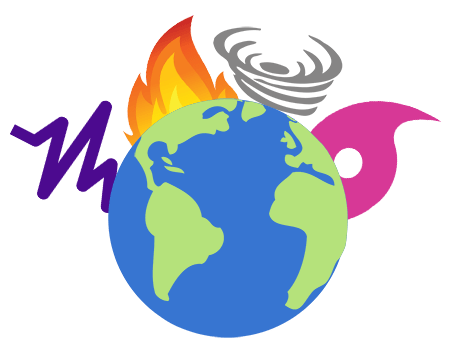 The most basic fire data are the locations of hotspots and typically come from geostationary and polar-orbiting satellite with frequent revisit times (i.e., less than a day), such as the NOAA GOES, NOAA-20, or NASA Aqua and Terra satellites. 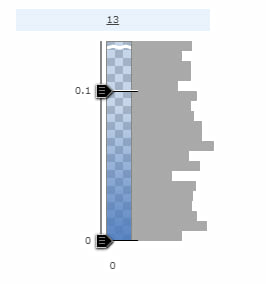 These data are a count of thermal pixels. But many things can generate a hotspot, including controlled burns, oil and gas rigs, volcanoes, etc. 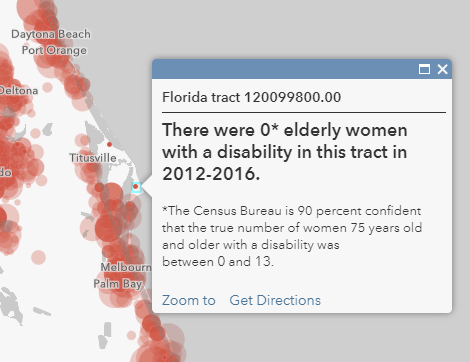 This kind of data must be used with some caution since there are many features that are not wildfires. However, it is still extremely useful at monitoring known fire events or fire-prone areas. 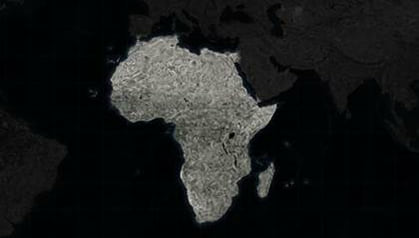 In the Living Atlas, the MODIS Thermal Activity layer provides daily updated global hotspot locations. 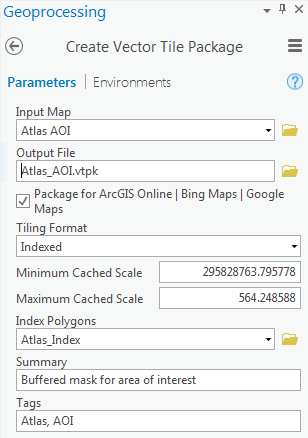 Data from two NASA satellites are combined in this layer: Aqua (“A” in the table) and Terra (“T”). 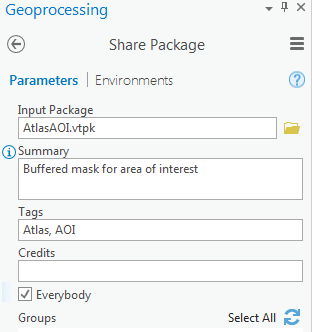 Each can be filtered or queried in ArcGIS or Desktop. 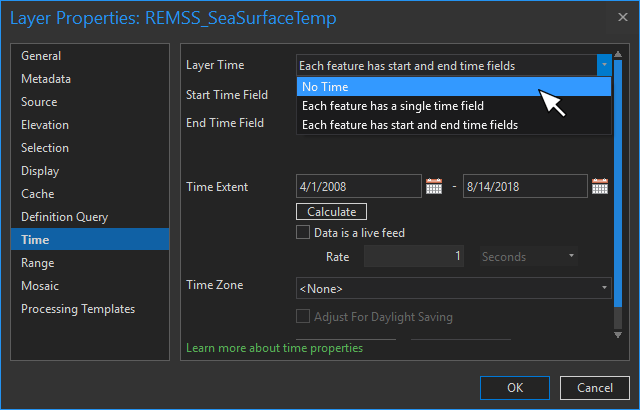 Since Aqua is in the “afternoon orbit,” when wildfires are typically at their peak, I prefer to use this source since it reduces the number of redundant features – the two satellite orbits are only 3-hours apart. 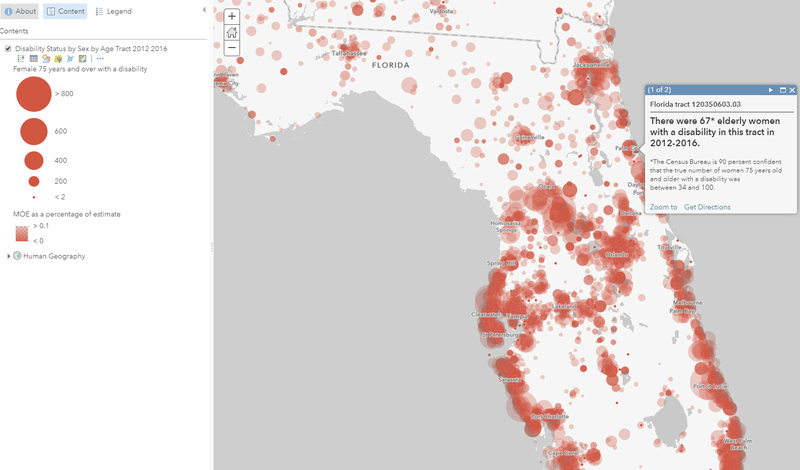 This map shows the Aqua thermal activity data, using the newly released Firefly symbologyin ArcGIS . 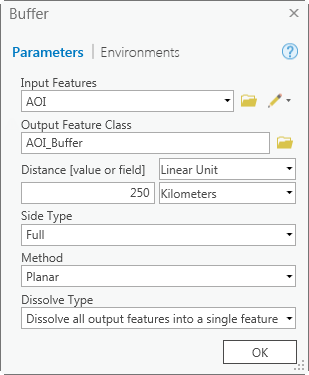 I use the Counts and Amounts option with the FRP (Fire Radiative Power) attribute, which measures the energy released by each hotspot. Notice the “false positives” in Kuwait associated with the flames atop oil wells. 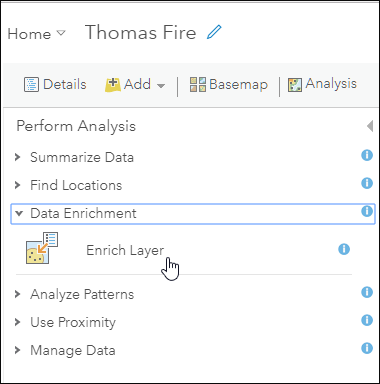 Want to use Firefly in ArcGIS Pro? Check this out. 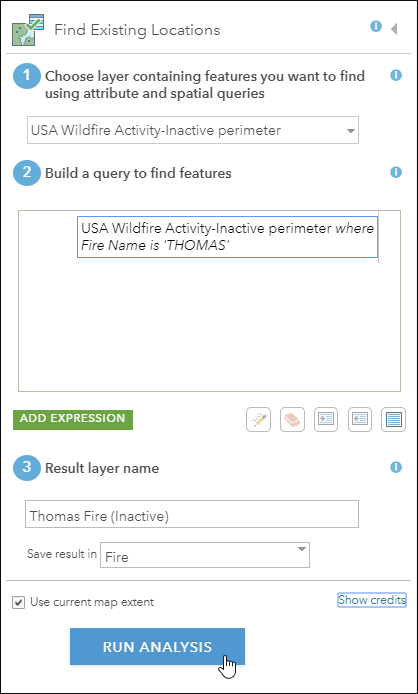 In the U.S., the USA WIldfire Activity layer provides a more quality controlled version of the data. 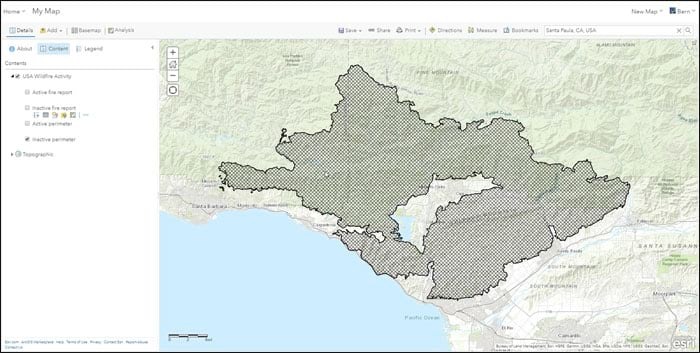 It shows only wildfires submitted to the USGS by fire agencies, as opposed to all of the other events that can cause an automated satellite-based hotspot detection. 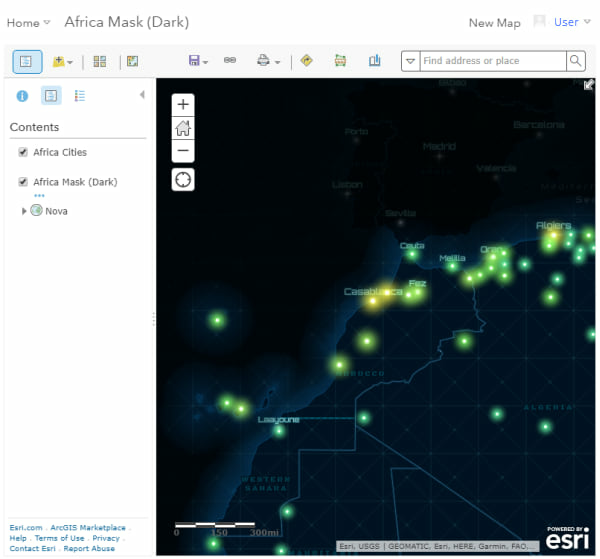 However, since this layer relies on human analysis, sometimes it doesn’t update as frequently as the MODIS hotspots. The layer also contains the perimeter of the fire area, which IMHO is the most interesting feature. 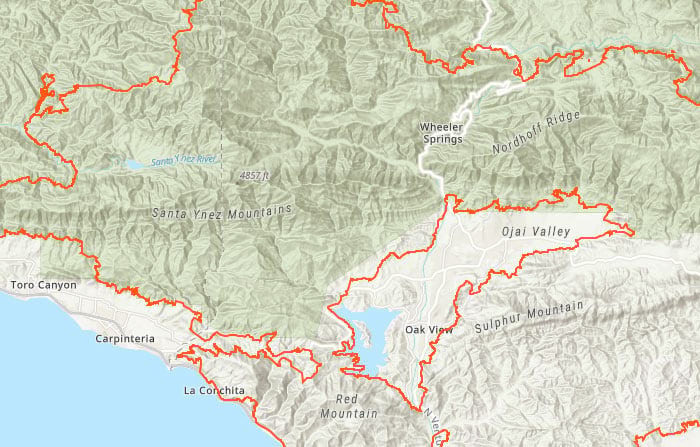 Both current (active) and older (inactive) fires are included. 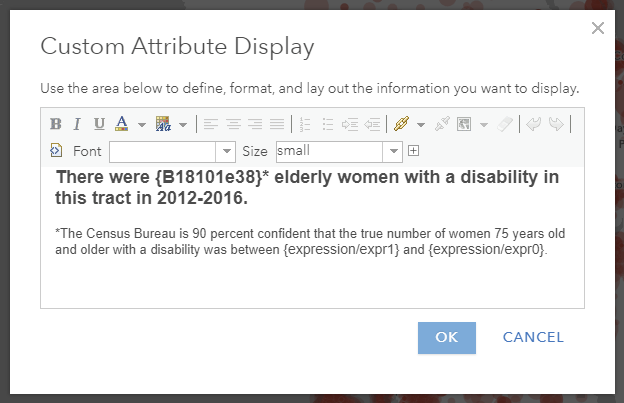 But why not combine the best attributes of both datasets? 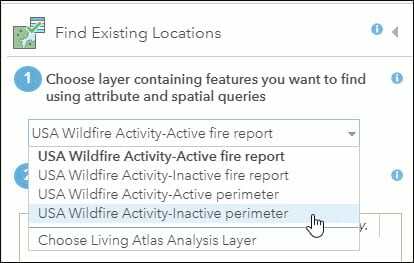 In this map, the Firefly effect is used on the % Contained attribute in the Active Fire Report layer. Fires that are less contained are larger and colored more intensely. 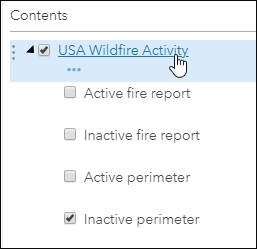 While the Active Perimeter layer displays at all scales, the Active Fire Report layer uses the Set Visibility Range option. 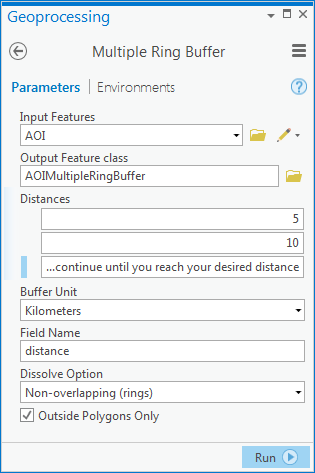 It disappears at closer scales and the MODIS Thermal Activity layer appears, again using the FRP attribute. 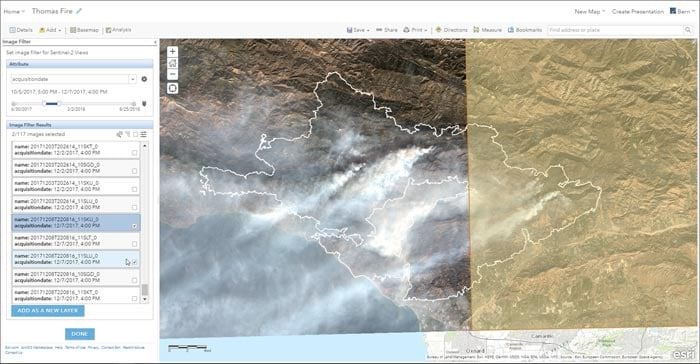 While the weather-focused satellites from NOAA and NASA provide high temporal resolution fire data, really detailed analysis of the fire impact is often left to moderate resolution multispectral imaging satellites such as Landsat 8 and Sentinel-2, or commercial high-resolution satellites. 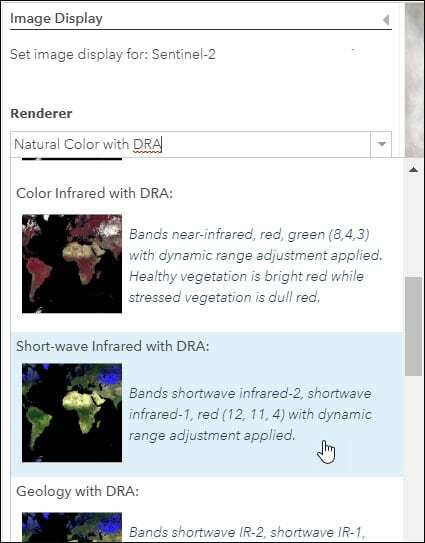 Here we can see the benefits of the multispectral capabilities of the Sentinel-2 satellite, now available in the Living Atlas. 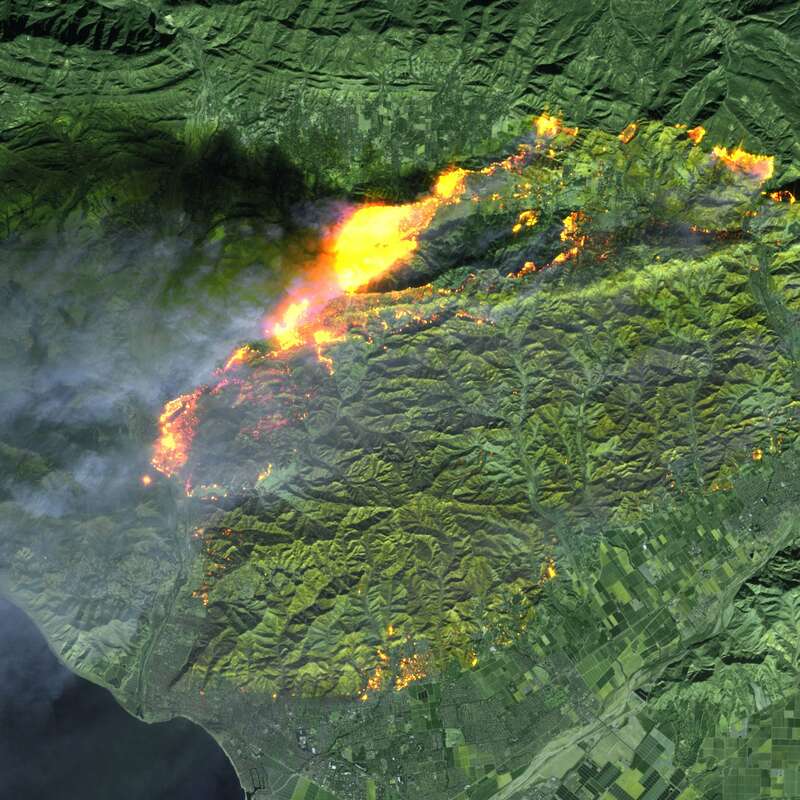 The Thomas Fire outside Los Angeles imaged using Sentinel-2 multispectral imagery from 12/5/2017. 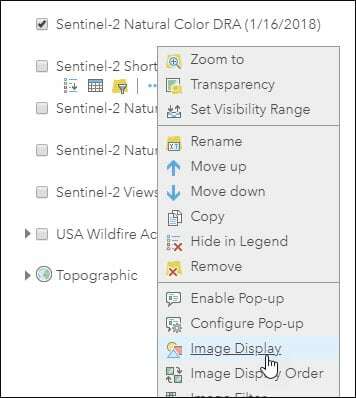 Sentinel-2’s infrared sensitivity (Channel 12; 2.19 micron band) provides the ability to identify areas of active fires, much like NOAA-20 or Aqua/Terra, but at 20m resolution. 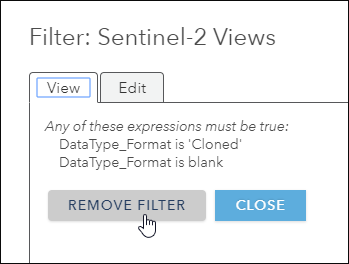 If you’re using the Sentinel-2 Views layer in ArcGIS , go into the Image Display options. 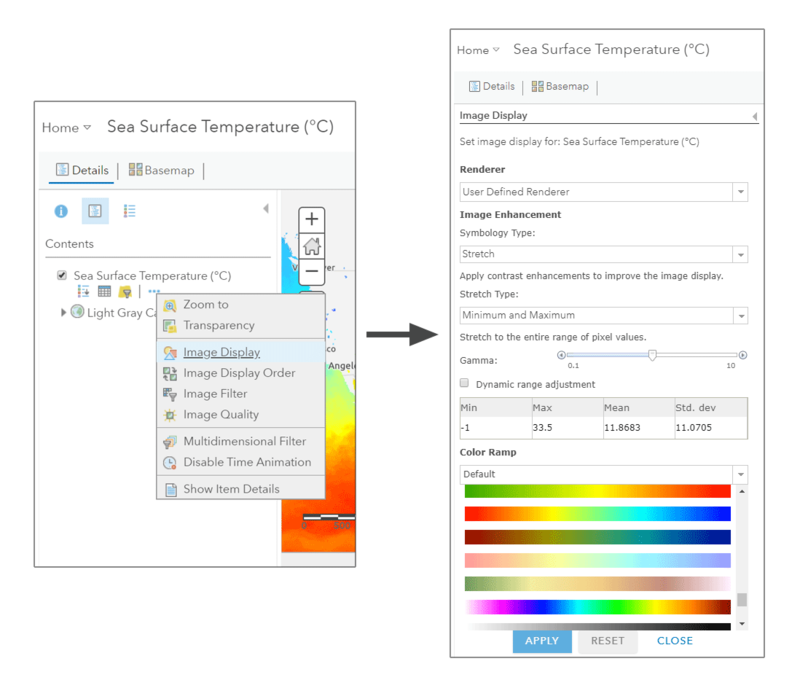 Pull down the Render options and select Short-wave Infrared with DRA. This particular RGB combination relies more on thermal than visible channels, penetrating through clouds to see active fire areas. 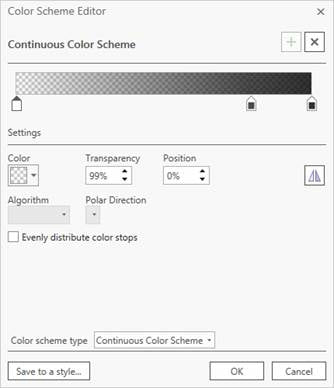 The Short-wave Infrared RGB combination is also available in the Sentinel Explorer app. 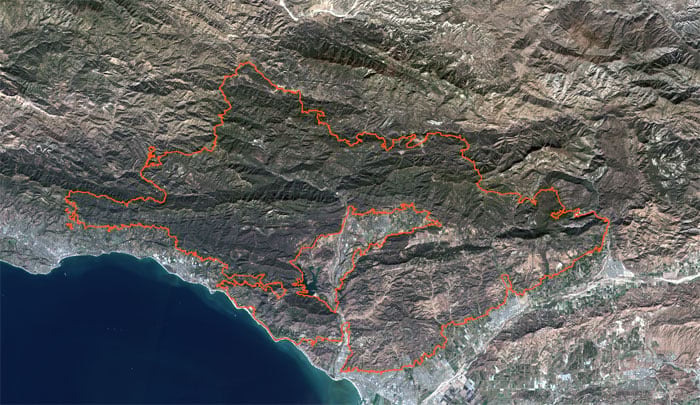 In addition to visualizing active fire areas, multispectral imagery is also effective at assessing burn scars. Besides the ecosystem impact, denuded vegetation along sloped areas can lead to landslides, especially when combined with heavy rains. 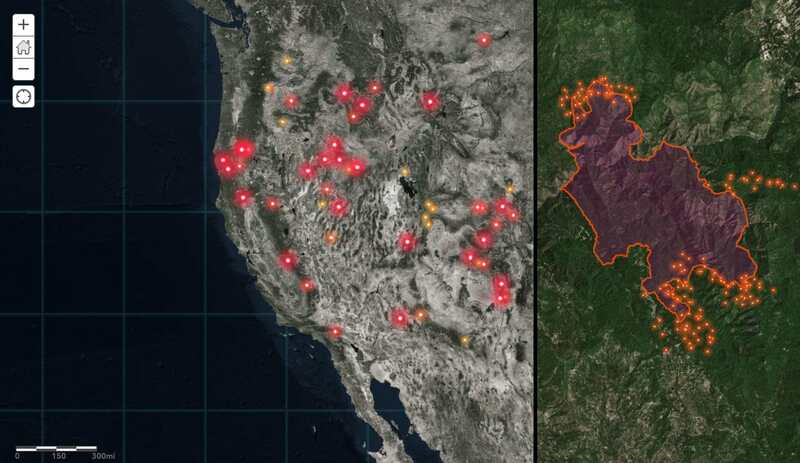 The flames of an intense fire span across a few dozen miles, but the smoke emitted from a fire can seriously affect the air quality of areas hundreds of miles downwind. NOAA’s smoke forecast models rely on understanding both the vegetation of an area along with the heat/energy of a fire – which is where the Fire Radiative Power (FRP) attribute from above comes in again. Higher temperatures or FRP can burn more types of materials, creating more smoke. 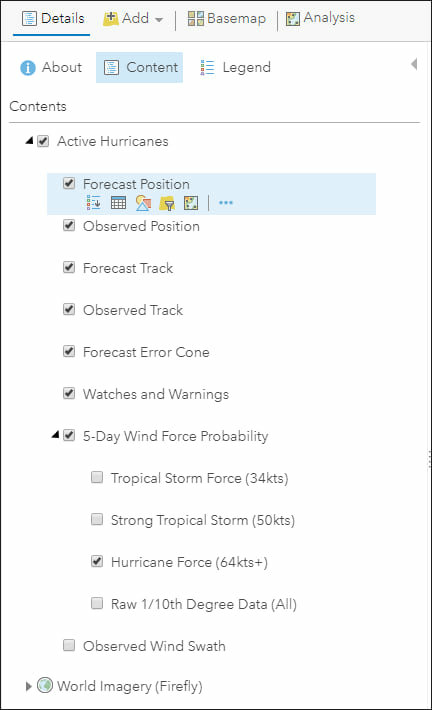 In the Living Atlas, the National Weather Service Smoke Forecast layer can be merged with any of the fire location layers, or other forecast data such as wind speeds. 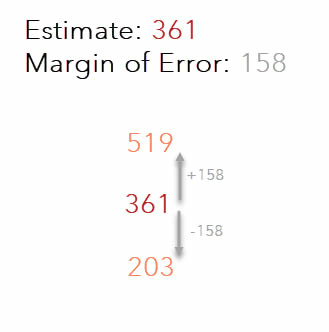 In fact, check out this blog and app from Michael Dangermond to see an example. 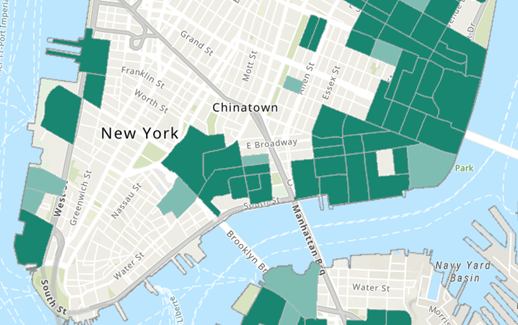 The Living Atlas team is currently working on a few updates to our data layers. 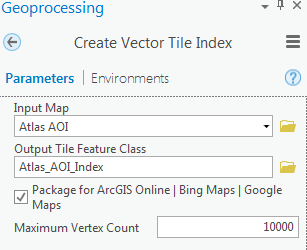 Adding the VIIRS thermal activity data. 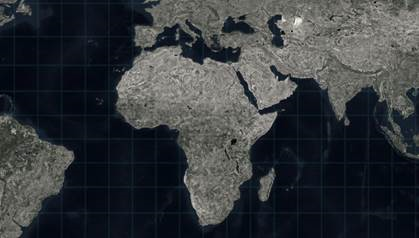 The VIIRS sensor is the more modern version of MODIS, and is flown on NOAA’s latest polar-orbiting satellites. 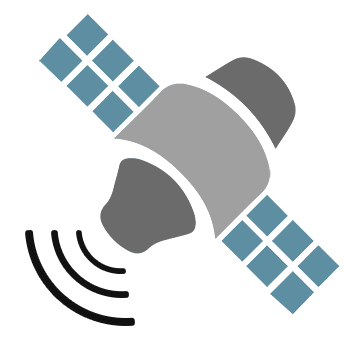 The sensor is a huge improvement over MODIS, providing 375m per pixel resolution, and it has multiple channels that can detect fires. By comparison, the thermal channels on MODIS are around 1km per pixel. 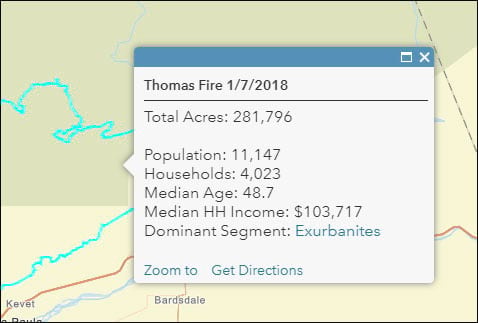 You can see the improvement in this swipe app I built to compare the data from MODIS with VIIRS for the first day of the Thomas Fire that occurred outside Los Angeles in 2017. 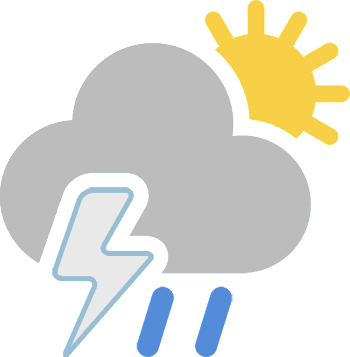 We will be updating many of the Live Feeds datasets, including the National Weather Service Smoke Forecast. 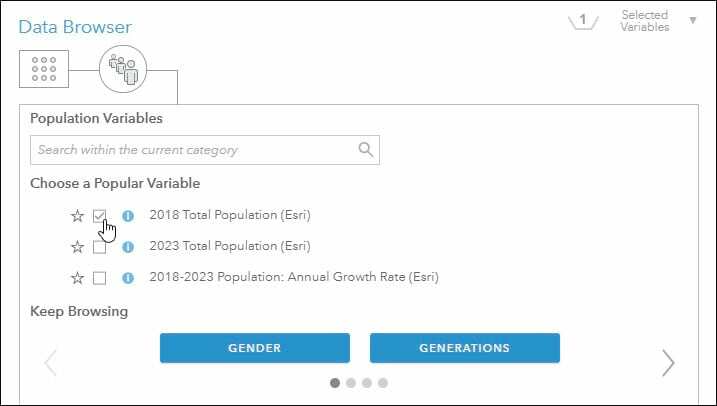 Besides improving some of the data classifications, we’ll also be adding in the Air Quality Index attribute that should provide a more meaningful impact of the smoke on populations. 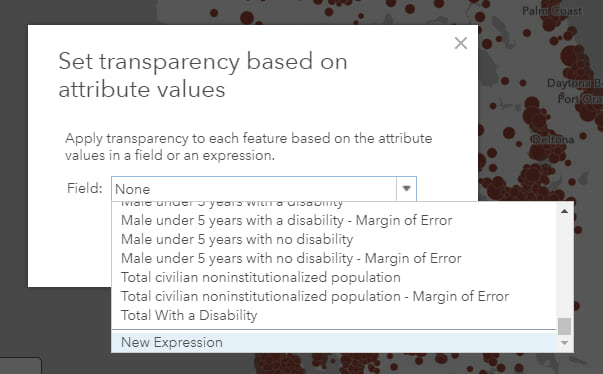 We’ll be digging in a little deeper to the layers referenced above to show how you can use them for more meaningful impact analysis on populations and habitats. 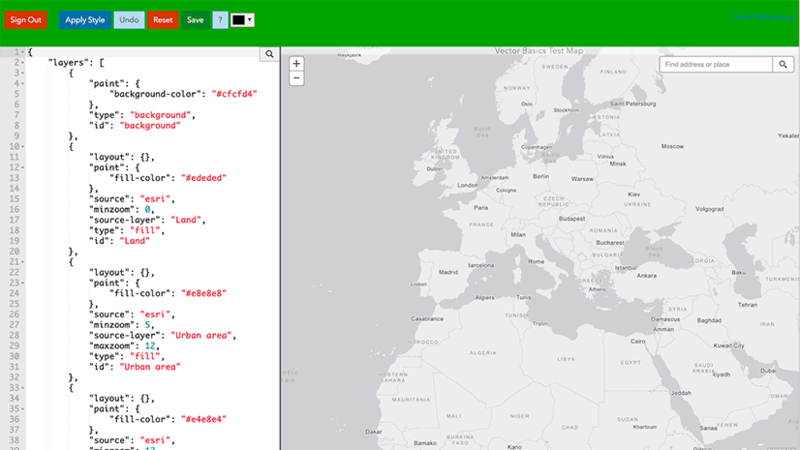 The World Imagery basemap is regularly updated. 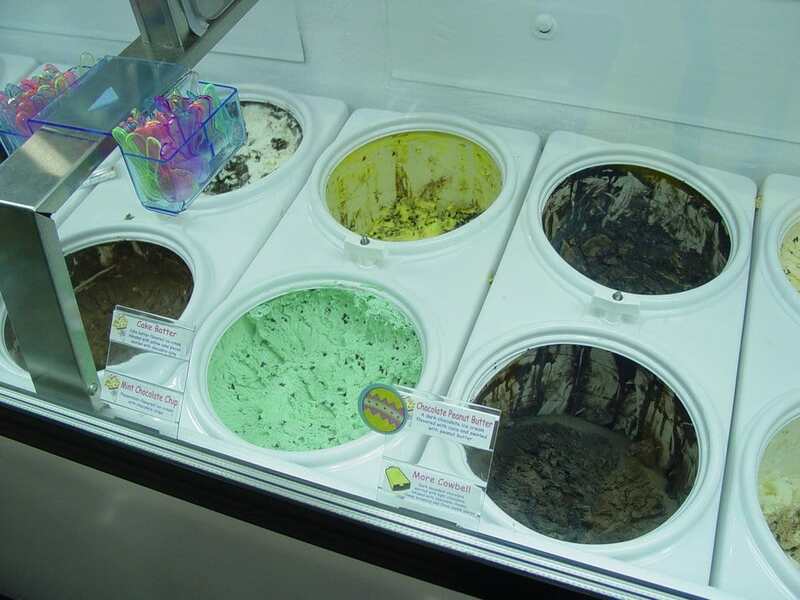 When updates are made, the older imagery is replaced and is no longer visible. 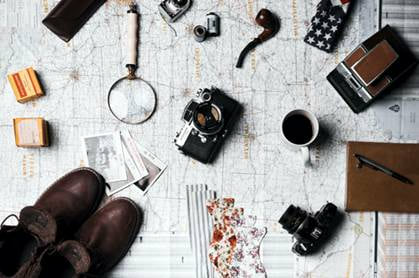 In most cases, the latest imagery is always preferred, but there may be reasons to use older vintage imagery. 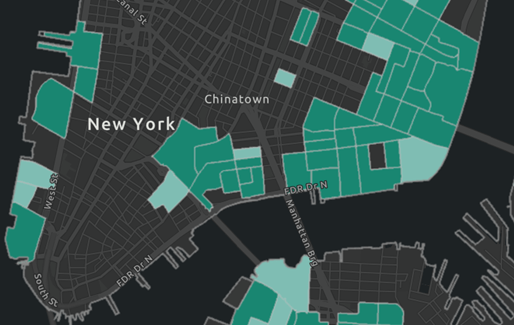 For example, there may be undesirable color variations, previous versions may align better with your GIS data, or there may be unwanted shadows or clouds. 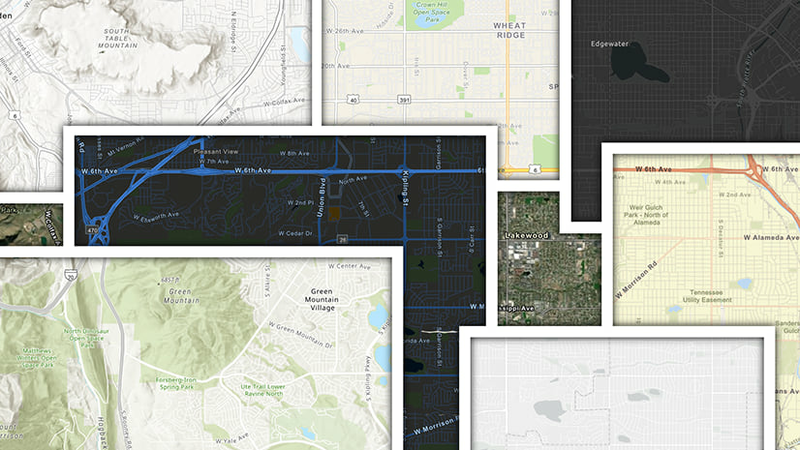 In these cases, you may want to access a previous vintage of the World Imagery basemap or layers. Another reason is that you may want to go back in time to view change that has occurred as the result of development, fires, or other events. 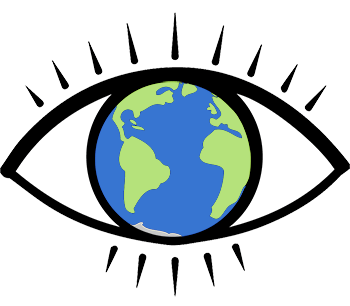 Wayback Imagery is a digital archive of the World Imagery basemap that enables you to access 80 versions of World Imagery captured over the past 5 years. 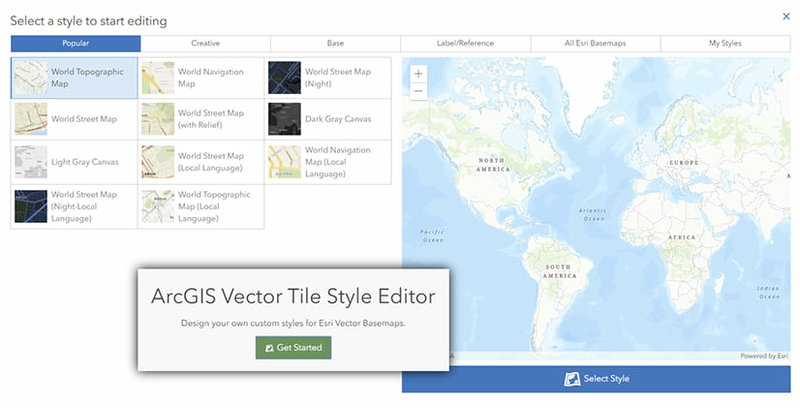 The different vintages of imagery are published as tile layers that you can add to your maps, or can use as basemaps. 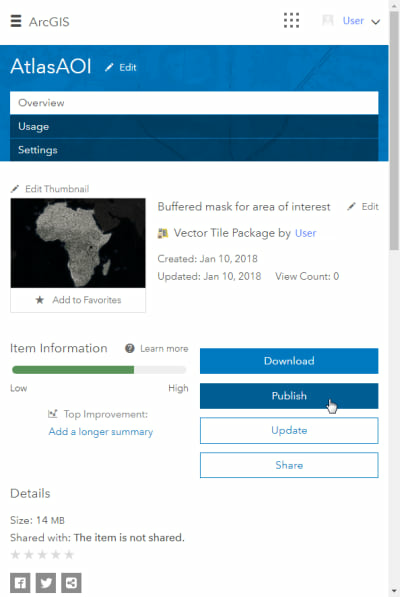 Note that this archive is based on the date that it was published in the World Imagery basemap, not on the date the imagery was actually acquired, which may be older. 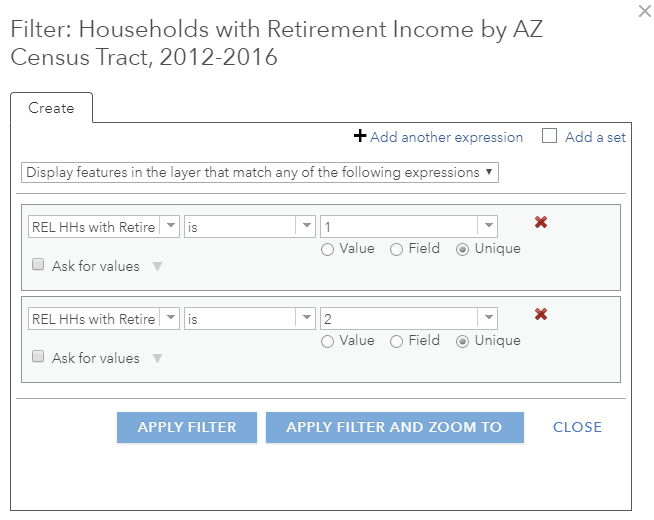 Here are two easy ways that you can leverage the Wayback imagery archives. Browse the layers in the group to find the vintage you want. 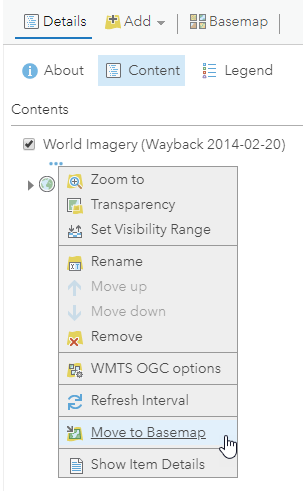 In this case, we’ve selected World Imagery (Wayback 2014-02-20). The title indicates the imagery in this layer was published on February 20, 2014. 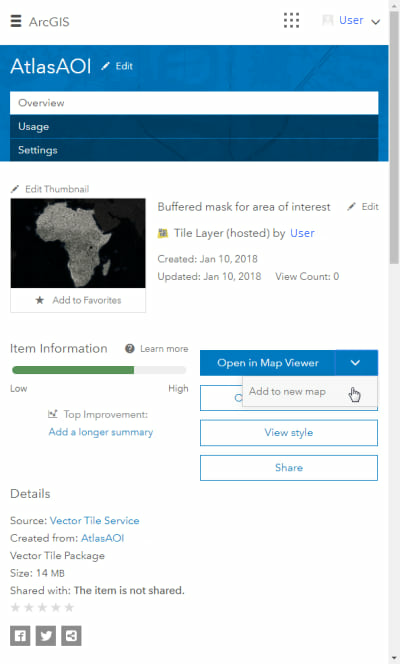 Click the title to open the item details, then click the thumbnail to add the layer to your map. 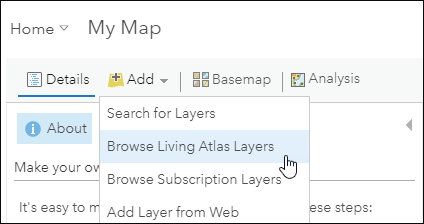 If you want to use the layer as a basemap, click More options (…) and Move to Basemap. 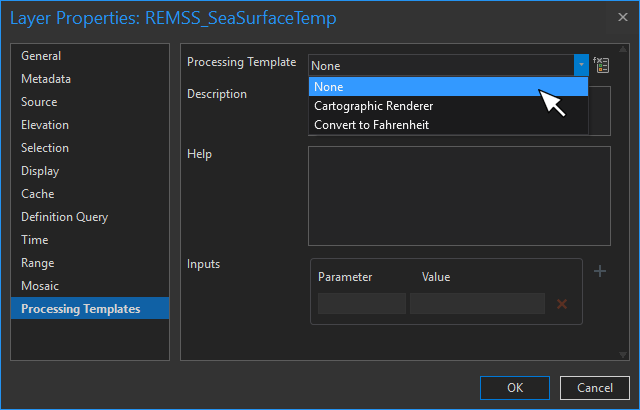 After moving the layer to the basemap, you can remove other basemap layers. 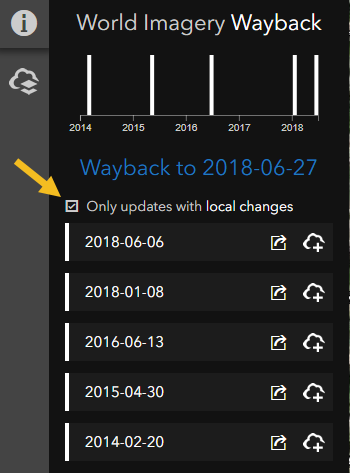 The Wayback app delivers a way to browse previous versions of imagery using a timeline and list. 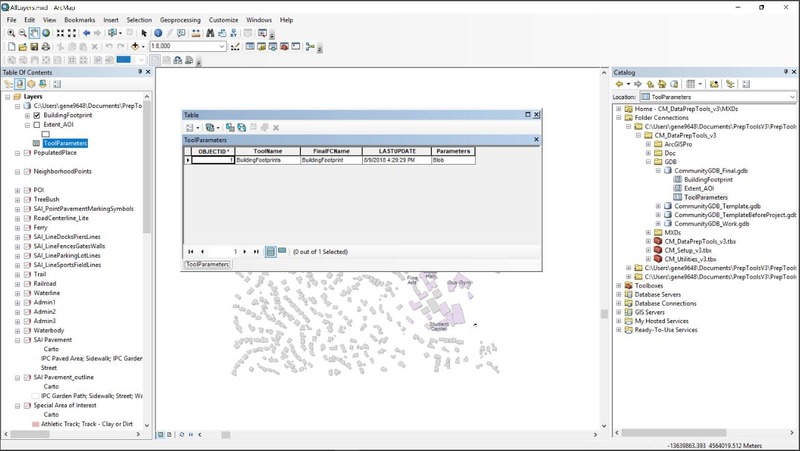 Versions that resulted in local changes are presented based on location and scale. 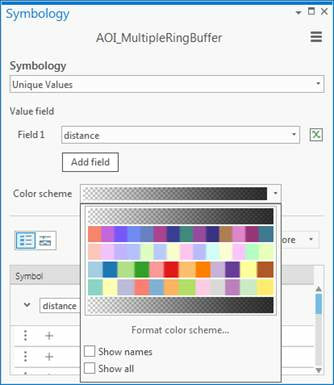 You can preview changes by hovering or selecting individual layers. 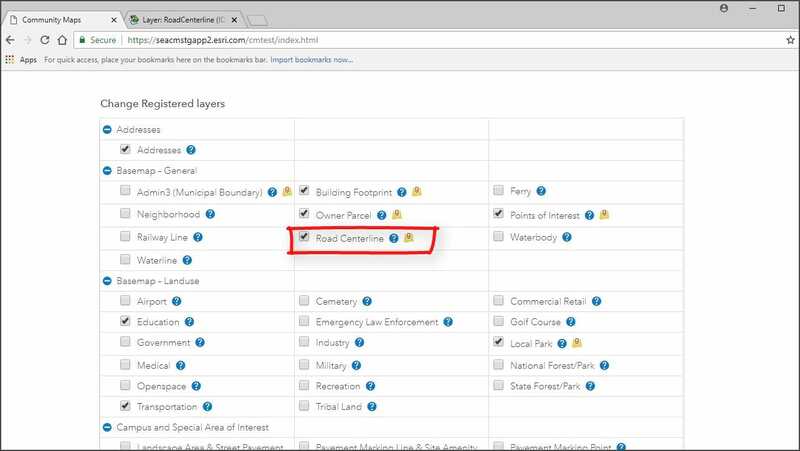 Choose one or more Wayback layers to place them in a queue, when finished you can add them to a new ArcGIS online web map. You can find the Wayback app in the Wayback Imagery group mentioned above. 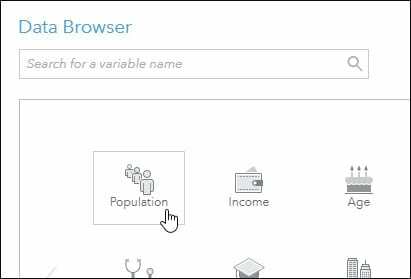 Or, search ArcGIS Online for the Wayback app. Favorite the app or share it into one of your groups for easy access. 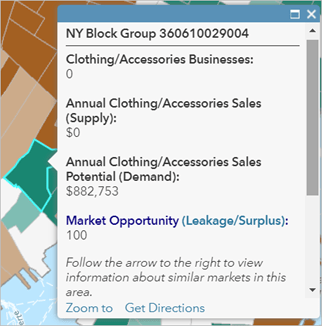 One the app is opened, use Search to zoom to your area of interest. 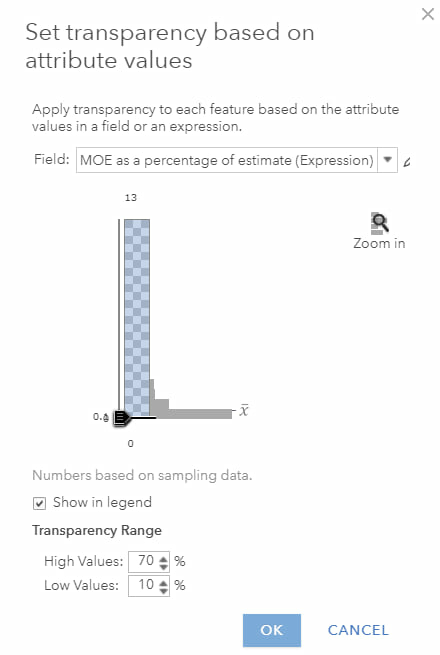 Pan and zoom in or out to the desired location and level of detail, the results shown in the app are based on location and scale. 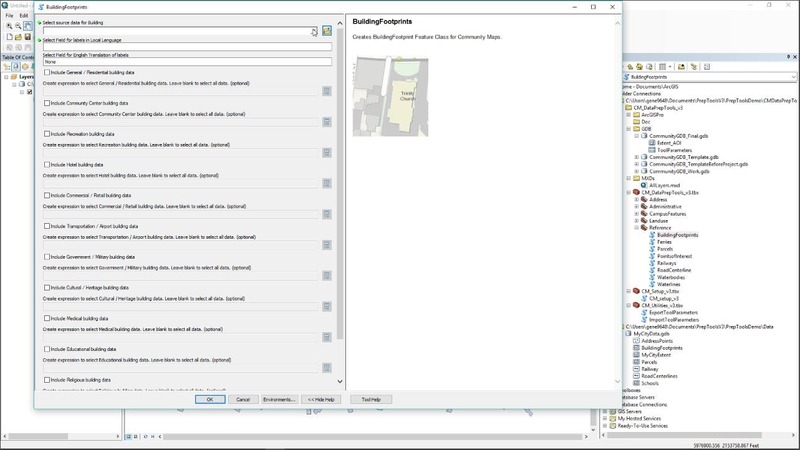 The layer list shows all vintages, those with local changes are highlighted in white. 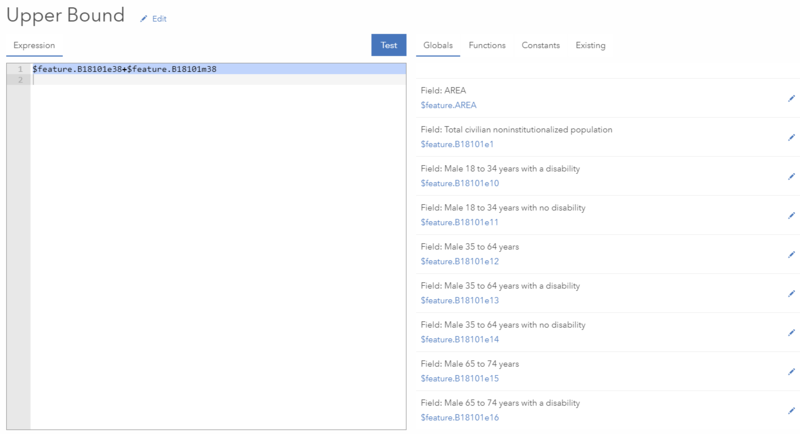 In the upper left a timeline is visible, with dates with local changes highlighted. 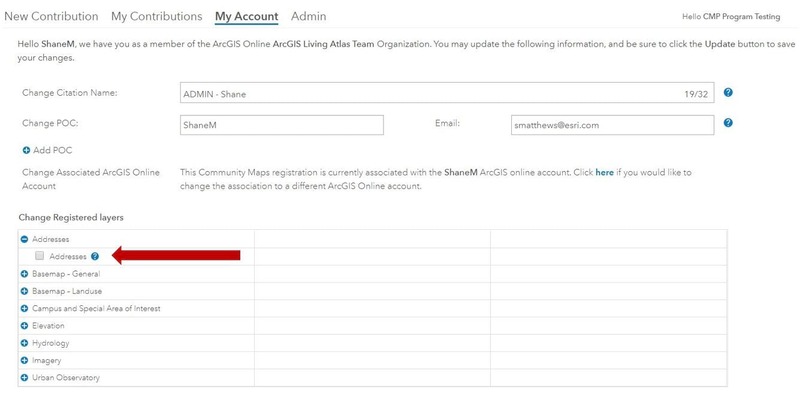 Check the box to see only the updates with local changes. 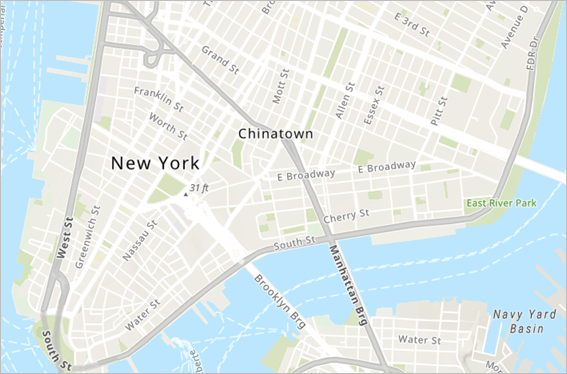 Hover over the layers to see a preview on the map. 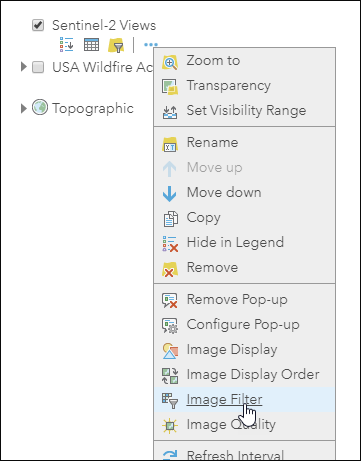 Add layers to the queue by clicking the Add icon. 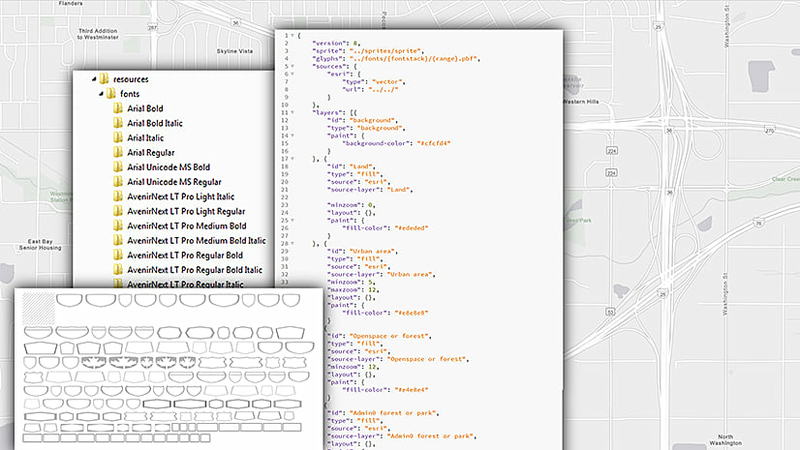 Step 5 – Add layers to your web map. 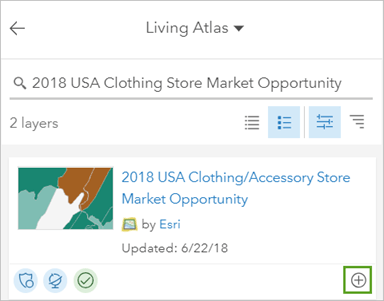 Layers you have selected are queued in the app, click Open these updates in a new web map to add the layers you’ve chosen. 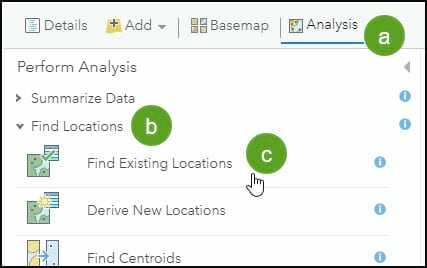 Using either of these two methods (we recommend the Wayback app) you can choose the imagery for your basemap. Or, add layers of different dates to move forwards or backwards in time to see change. As other vintages become available, they will be added to the Wayback archive, and will be searchable using the Wayback app.